A deluxe Breakfast Basket overfilled with delicious breakfast, snack and fudgey treats. 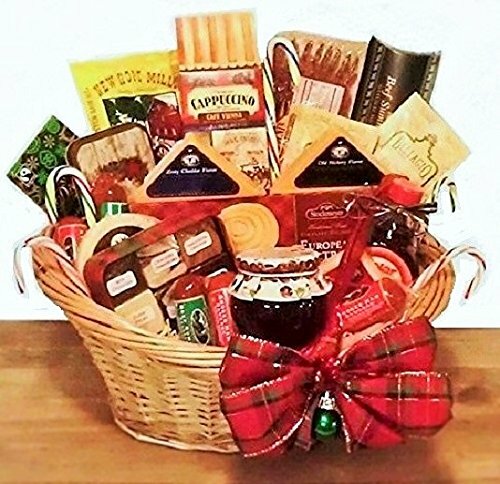 A deluxe Breakfast Basket overfilled with delicious breakfast, snack and fudge treats. From bacon to pancakes with all the trimmings including gourmet cheese, beef sausage, ham biscuit slices, summer sausage, maple syrup, fruit preserves, fine cookies, fudge, coffee. Wrapped with clear cellophane, holiday ribbon and your gift message card.